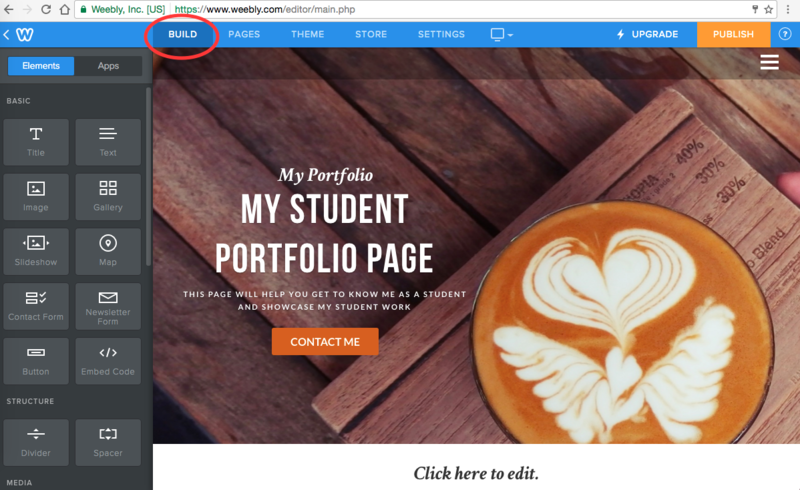 This course will walk you through the steps of setting up a Student ePortfolio on Weebly. You will also learn what a student portfolio is, why it is important to create one, and how you can quickly set up and customize your page. About Student ePortfolios. This section covers what a Student ePortfolio is, why students should create them, and what they can be used for. What is a Student ePortfolio and Why should you create one? Creating a Student ePortfolio is like creating your own website. This might sound scary or difficult, but don't worry! There are many benefits to creating a Student ePortfolio. It teaches you how to have a professional online presence. It helps you keep track of your previous and current projects. It gives you a place to store and showcase your previous and current projects. It provides a way to compare your previous work with your current work. It helps your teachers and classmates get to know you. 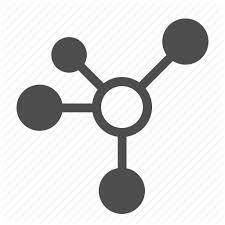 It helps you stay connected to your professional network. Before you learn how to create a Student ePortfolio in the next section, answer the True or False questions to see if you really understand its purpose. Creating a Student ePortfolio teaches you how to maintain a professional online presence. One of ways you can use a student ePortfolio is to check in on your friends' personal lives. Like Facebook! Creating a Student ePortfolio is much like creating your own website. 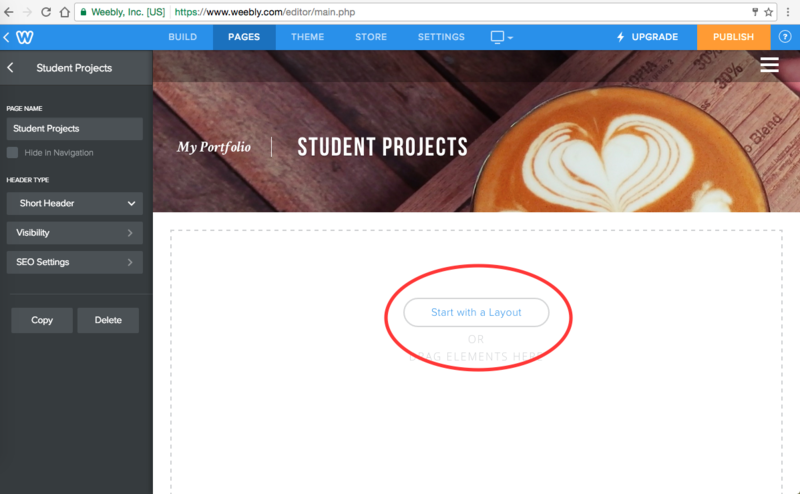 This section covers how to create a Student ePortfolio on Weebly in a step-by-step process. Scroll over the images for helpful tips and tricks. 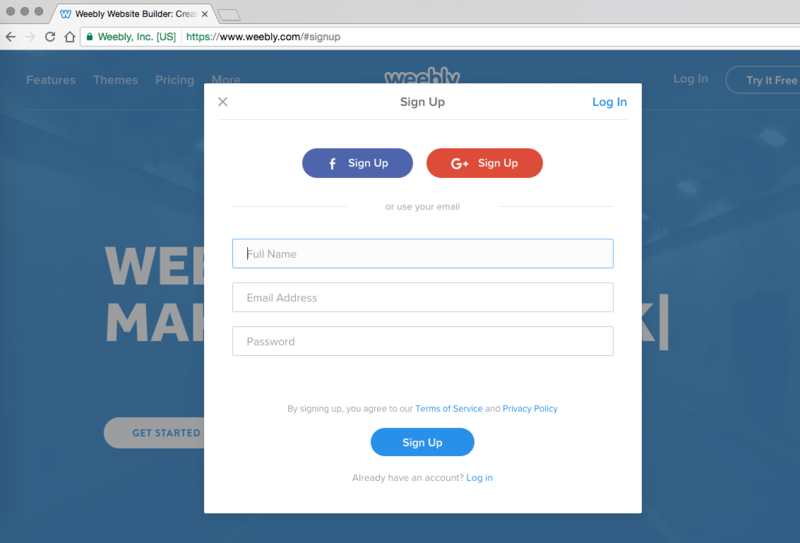 The first step will be to create an account with Weebly. Follow the link to open Weebly's sign-up page. You can log in with your gmail account or facebook. If you prefer, you can enter your email in the text box. 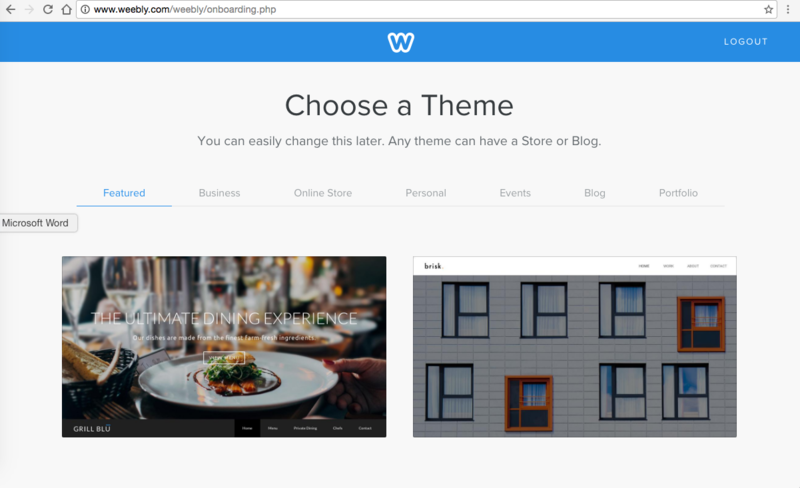 The second step is to choose a theme for your page. Choose a theme that represents you as a professional. Consider the colors, graphics and font that capture your professional image. Don't worry too much about what theme you choose, you can always change it later. 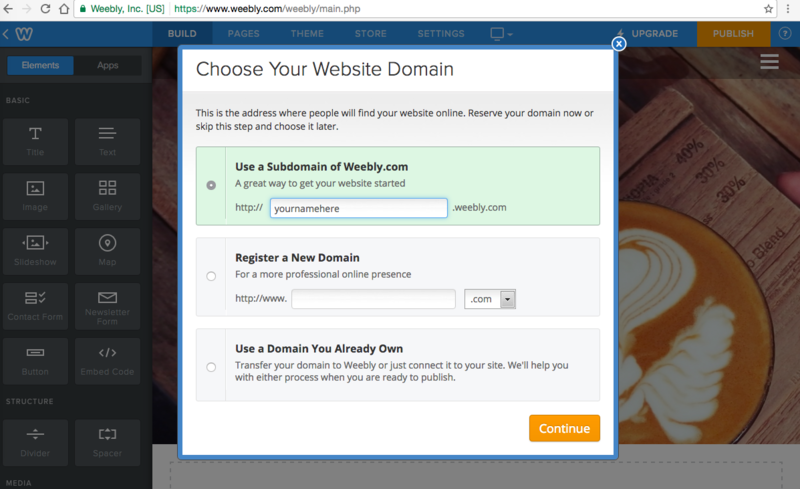 The third step is to choose a domain name. Choose a domain name that is professional, such as your first and last name. 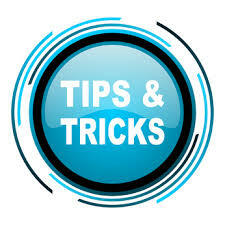 For example, "JohnSmith"
The fourth step is to set up your home page. This is the first page people will see when they search your domain name. Use the Build button at the top of the page to access the toolbar on the left side of the screen. Use drag and drop to add a title, subtitle, and buttons. This can be customized to your exact preferences. You could even add a professional picture of yourself. The fifth step is to add pages to your site. Adding different pages allows you to add information and projects by category. Click on the Pages button at the top of the page. On the left hand side, click on a page you want to edit. Start by editing the name of the page. 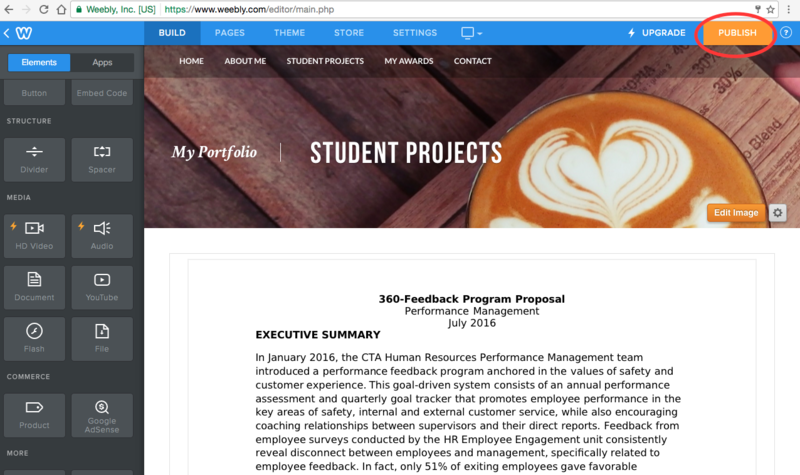 For example, change "Our Story" to "About Me" or "Student Projects"
The sixth step is to customize each of the pages on your Student ePortfolio. Start by opening one of the pages you renamed. At the top, click the Build button. The same build toolbar will show up on the left side of the screen. You can use drag and drop functions to make a custom layout for the page or you can start with a layout. You can add media, images, documents, powerpoint presentations, slideshows, and many other things to your pages. The final step is to publish your Student ePortfolio so that others can access it. You can always edit your site, but it isn't public until you publish it. When your site is customized to your liking and you're ready to publish, simply click the Publish button in the upper right corner. Update your Student ePortfolio often to keep track of classes and projects. Add pages for awards, contact information, and blog articles that interest you in addition to your classes and student work displays. 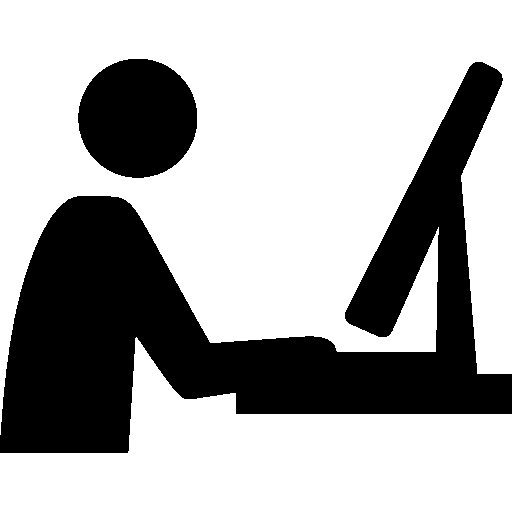 Link your Student ePortfolio to your other professional websites such as YouTube and LinkedIn. Search for your classmates' ePortfolios to see where they are on their learning journey.